The Animal Rescue Network is touched by the initiative founded by Florence; Mandalove by Florence", which had donated $ 200 to the shelter after her last mural creation, CreaPrint. Her last project was created with an aim to raise awareness for a Montreal association where half of the funds would be donated. She called on her community in order to help choose the association to receive these funds and the ARN was selected as this recipient! Florence a philanthropic artist who connect her two passions, art and animals in order to help associations in need worldwide and to raise awareness for animal issues through her expositions. An enormous thank you to Florence and everyone within her community who made the ARN the recipient of this great donation! Last February 3rd and 4th, a sale specifically intended for the shelter’s volunteers took place. The total amount raised was $750 plus $30 in donations. Many thanks to Robert, the boutique’s responsible, and to Laurent-Émile Boyer for their precious help. Thanks also to Christiane Agnessi who brought brownies and delicious homemade fudge. The “Every dollar counts” fundraising was thought of and created in April 2016 by Robert, one of our long-term volunteer. It is based on another fundraising, which he also initiated, that collected pennies from businesses when they were retired from circulation. $2 500 were raised by this first project. The “Every dollar counts” fundraising is intended for the shelter’s volunteers to raise donations around them. 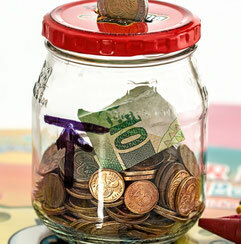 The concept is to gather money from old piggy banks, lying around in drawers or simply on top of dressers. A box was installed at the shelter to collect donations. For the previous year, $2 220 were accounted for, $1 at a time, for a grand total of $3 765 since the beginning in April 2016. A big thank you from the cats who were able to go to the dentist thanks to your donations. Thus, we continue to collect pennies… and of course, bills too! The ARN Shop raised for this event $ 1,887. It's an all-time record! Thanks to Lise Lsmarbre, Christiane Agnes and Robert Michaud. Thank you to everyone who bought and donated. Thanks to Les plastiques Piedmont for graciously providing a Coroplast palette to complete the new shelter layout. It is in this room that new cats spend their forties before being released in one of the rooms of the shelter and with the new layout, we hope to accommodate more cats in need. Good news! The 2018 calendar has arrived. The cost is $ 15. All proceeds will go to RSA. The calendar is made up of photos of the shelter's cats. Record sale of the boutique at the Salon National des Animaux de Compagnie, November 4th and 5th! $ 1,512.00 and $ 70 in donations. Thanks to the team of volunteers who were present during this event: Lise Lemarbre, Christiane Agnessi, Lise Côté and Eric Boivin. Special thank you to everyone. Your purchases and donations will help to improve and save the lives of our cats. Dexter who had his teeth extraction, is now with his host family and gets the sweet flow in the sun! Julia has improved a lot. As she no longer hurts, she is more affectionate and regains 'zenitude'! Now it's Samba's turn, Zen and Alfredo. Thank you for your generosity in helping our little treasures suffer less. Few volunteers came to collect donations for the Animal Rescue Network at La Baie downtown Montreal. We managed to raise $ 289.00 in this edition. We would like to warmly thank the volunteers for their presence at the Grand Don. Thank you for your efforts and your smiles. And thank you to the people who came to support us. Launch of the GOFUNDME fundraising campaign for urgent dental care for Julia, Toudou, Alfredo and Dexter. Costs: approximately $ 550 each. Saturday, June 10th, the Morgan Stanley Group came to help us with cleaning, and for gyproc repairs. And on Sunday, June 11th, it’s the TELUS Group who came to join us. We warmly thank those two teams. We had a good time full of exchanges and mutual aid. Thanks to the devoted people and the companies who get involved. The shelter is solely composed of regular volunteers and is happy to get a little more help. RBC Group members joined us for various jobs at the shelter in addition to a financial donation. It seems that they greatly appreciated their experience. Thank you for your involvement in the community. The shelter and the cats also appreciated your help. Thanks everyone who participated in our event Giving Day which took place last Friday, March 24th in the Hudson’s Bay. Thank you also in every of our devoted volunteers to have given of their time and held the stand, thanks to the generous donors, thanks to the Hudson’s Bay. Thanks to you all, this event was a success. We collected $1 377.35 exactly! 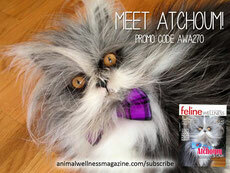 This sum is going to help the Animal Rescue Network to pursue its mission with cats in need. 176 adopted Cats (54 from the shelter and 122 who were in foster homes). 30 New cats welcomed in the shelter in 2016, without counting those placed in foster families. 122 Cats currently living in the warmth in our shelter. 140 Volunteers had worked relentlessly to meet the needs of our animals and make sure that a maximum is adopted: cleanning, medical care, transport, organization of adoptions days and raising awareness, management of foster families, administration, communication: a titanic task made by numerous small voluntary and passionate hands. Our benefit night, which took place on the 19th of November at Bowling, was a great success! Thank you to everyone who helped and participated and were there for the cats of the Animal Rescue Network. During the event, there were 122 participants present! The profits generated were to the amount of 2 005.00$, including sales from our kiosque during the event. Donations for the Animal Rescue Network! This morning, we got a lovely surprise at the shelter! 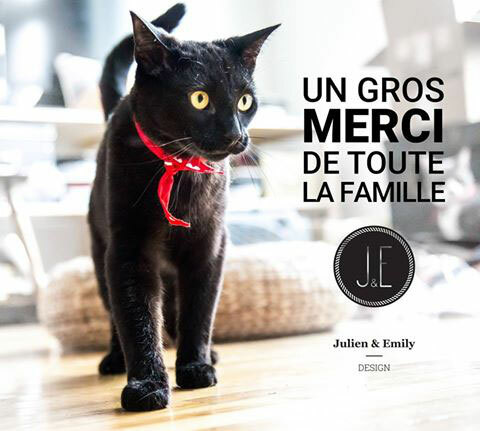 Julien & Emily Design organized a fundraiser during the month of July where 20% of their Etsy sales would be donated to a shelter for abandoned animals. And it was the Animal Rescue Network that was elected!!! A huge thank you to them! They are making a donation of 363$ to the shelter!